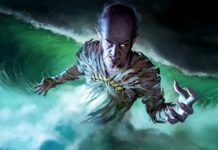 Home Magic The Gathering M19 Deck Lists for our First-Ever Magic The Gathering Episode! There’s magic in the air here at Nights At The Game Table, and we’re very excited to announce our first-ever episode of Magic The Gathering! Thanks to the lovely folks at Pat’s Games in Austin (check them out, they’re awesome), fans can look forward to a weekly series dedicated to showing the latest and greatest M19 cards, as well as fast-paced games by some of the best players in the Austin area! This week, we’ve got Tad and Ryan, both seasoned competitions with years of experience in tournaments all around Texas, facing off in a best-of-three match using decks custom-built by the resident deck expert (and contributor to this blog) Aryeh Wiznitzer. Ryan’s deck is built around History of Benalia, while Tad’s makes heavy use of Approach of the Second Sun! However, to get you even more revved up for the game, we’ve got the entire decks of both competitors below! Check it out, and place your bets on who you think is going to win! If you want to see how these decks fare going head-to-head, be sure to check out the showdown below! Amazing production value guys! I play in Pat’s often, and it is cool seeing commentary and filmed gameplay there! Thank you! We’re glad you enjoy it; you can definitely expect a lot more stuff at Pat’s in the future!